Like Baja grilled shrimp from Moody's Josh Smith, Kung Pao chicken dip from Irene Li at Mei Mei, and more. By Jacqueline Cain·	 2/2/2017, 3:55 p.m. The New England Patriots are officially heading back to the Super Bowl in 2019. For the Big Game in 2017, we compiled these chef-designed tailgating recipes so you can throw the best watch party in town. The Pats’ opponents may be different this year, but these crowd-pleasing snacks are undefeated. 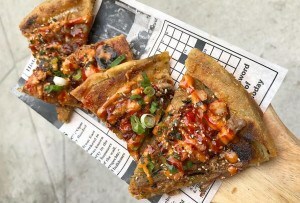 Thanks to its location in the shadow of Fenway Park, Sweet Cheeks Q has been a pre-gaming stronghold in its first five years. The Boylston Street smokehouse has sponsored amateur sports teams, and it runs a bustling takeout program, too. 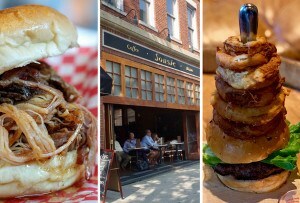 Enter this sandwich of epic proportions. 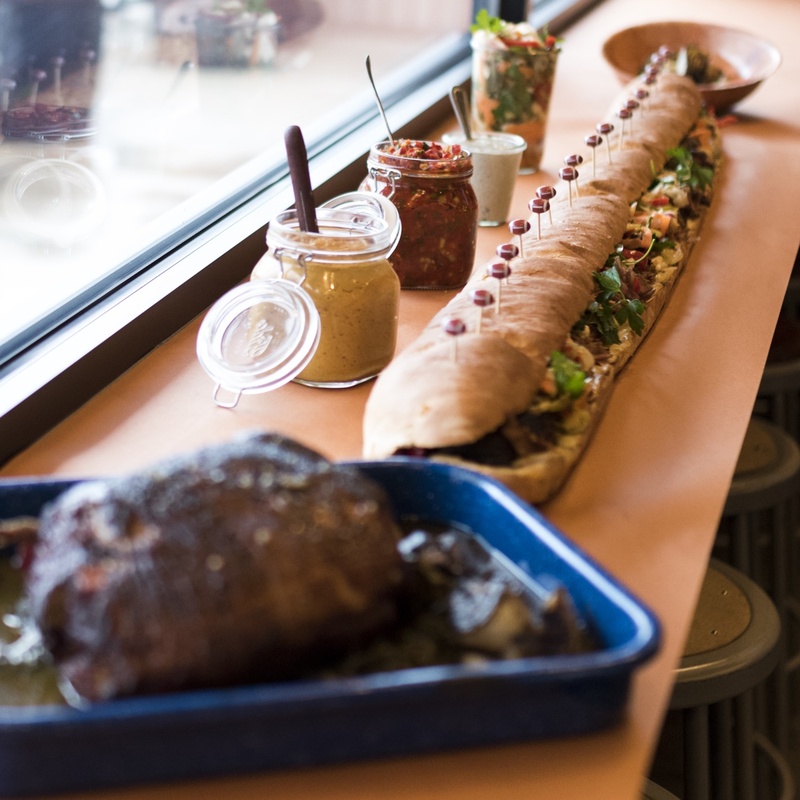 Raia has made this Italian-style, roasted pork-packed, giant sub for the team before. “It’s something classic that our staff loves, and we think everyone else will love it, too,” he says. Faison says preparing the sandwich is in itself an act of pre-gaming. Start the roast by noon on game day, and let it cook low and slow. The chefs have also provided instructions for three different condiments, but they say at-home cooks can feel free to pick up pre-made varieties if they prefer. Preheat the oven to 450° F. Mix the onion powder, fennel seeds, peppers, and salt in a small bowl. Dry off the pork with a paper towel, and rub with olive oil. Rub the pork with the spice mixture and place on a roasting pan with a wire rack, with the fattiest part of the pork facing up. Put it in the hot oven, and roast at 450 until it’s golden brown (about 20-30 minutes), then remove it from oven. Add the chicken broth, garlic cloves, Italian dressing, thyme, and oregano to the bottom of the roasting pan, and cover with aluminum foil. Lower the oven temp to 275° F, put the pork back in and roast it, covered, for 3.5 hours. Carefully uncover the roast and add the fresh fennel and broccoli rabe to the bottom of the pan, resting it in the juices. Re-cover the pan with foil and roast for another 45-60 minutes, or until the pork is fork-tender. Let it rest for at least 30 minutes before shredding with two forks. Add as much of the broth as you like back into the shredded pork to keep it moist. Place half the cherry peppers, the wax peppers, the garlic and the Italian long-hots in a bowl with ¼ cup of the salt, and toss thoroughly. Let this mixture sit for 30 minutes. Drain out the excess water and discard. Rinse the peppers with cool water, then pat them dry with a paper towel. Set the peppers aside in the refrigerator. Bring the water, vinegar, sugar, oregano, and ¼ cup of the salt to a boil. When everything is dissolved, turn off the heat and cool for 10-15 minutes. Pour this mixture over the salted/dried peppers, and refrigerate for at least 2-3 hours. In a food processor, chop the roasted red peppers, the remaining one cup of cherry peppers, and the red pepper flakes until fairly smooth. Drain the brined peppers, but save the liquid. Add the peppers to the food processor and pulse for 5-10 seconds, just until thoroughly mixed. Add back as much liquid as you like to meet your desired consistency. We like our hots on the thick side, so we just do a few tablespoons of liquid. Taste and season with more salt as needed. NOTE: For an easy cheat, you can just fold in the charred onions and garlic into your favorite mayo. We like Kewpie, Dukes, or Hellmans. Cut the onions into eight pieces, leaving the root intact, and toss in a bowl with the 1 tablespoon of canola oil, the sugar, and salt and pepper. Char the onions either on a grill, or in the oven, as high as your oven will go. You really need to burn the onions, so don’t be afraid to get some color on them. When the onions have cooled, remove the roots, and divide into two portions. Put half the onions in a food processor with the garlic, Dijon, lemon juice, egg yolks, and hot sauce if you like. Blend for 30-45 seconds. Slowly start to drizzle in the canola oil in a thin stream until it’s fully incorporated. This should take about 1 minute 30 seconds. Chop the other half of the charred onions with a knife. Add to the food processor and pulse 5-10 times, just until incorporated. Pour the ¼ cup of salt on all of the vegetables except the garlic, and let it sit for 30 minutes, then rinse and drain. Dry the vegetables and put them in a non-reactive container. Meanwhile, mix all the other ingredients in a pot and bring it to a boil. As soon as it comes to a boil, turn off the heat and cool it for 10 minutes. Pour the warm liquid over the vegetables. Put a paper towel or a piece of cheesecloth over the vegetables, with something on top to weigh them down (a small plate works well). Refrigerate for at least 2 days. These vegetables get better with time. Bring the water to a boil, then pour it over the mustard seeds and let it sit for 15 minutes. Combine all the ingredients (besides the grainy mustard, if using) in a blender and blend to a smooth consistency. Your blender may struggle, so turn it off every 30 seconds to scrape down the sides and mix everything together. If you like it chunky, the grainy mustard will add a nice texture. Add it separately, in a bowl. Season with salt to taste (be generous). Let the mustard sit at least one hour before using. Carl Dooley loves a good chili, sure, but what he really loves are the first few bites. “You get the crunchy chips, you get the cheese, the sour cream, all the goodies,” he says. So, for this feast, he doubles down: Instead of simply sprinkling some fresh herbs, pickled jalapeños, and whatever else he’s craving on top of his bowl, Dooley covers a serving dish of braised beef end-to-end with his preferred accoutrements. The chili dip riffs on a favorite from Dooley’s tasting menu at his Cambridge restaurant, the Table, this winter: It starts with the Table’s short ribs, braised with tamarind and ancho chilis for a spicy, unexpected flavor. At the Table, he presents the beef with soft, house-made corn tortillas and huitlacoche (a Mexican fungus). But for football food, “You need something you can eat on somebody else’s couch,” he says. With all the toppings exactly where you want them—already on top!—this is safer than the build-your-own taco situation that completes a meal at the Table, he says. Especially when it’s the Super Bowl. NOTE: This recipe makes enough short rib for a crowd. Use any leftover meat for tacos, or thrown into a favorite dish for a quick weeknight dinner. Combine the cumin, coriander, ancho chile, cinnamon and salt and toss the cubed short rib with this spice mixture. In a large heavy bottomed pan or dutch oven, brown the seasoned meat in oil. Add the onions and garlic and cook for a few minutes more. Add the red wine, tomatoes, tamarind paste and chicken stock and stir well. Bring the mixture to a simmer and cook on a low heat, stirring occasionally, for approximately two hours, until the meat is tender and falls apart easily. Use a fork to break apart the meat cubes. 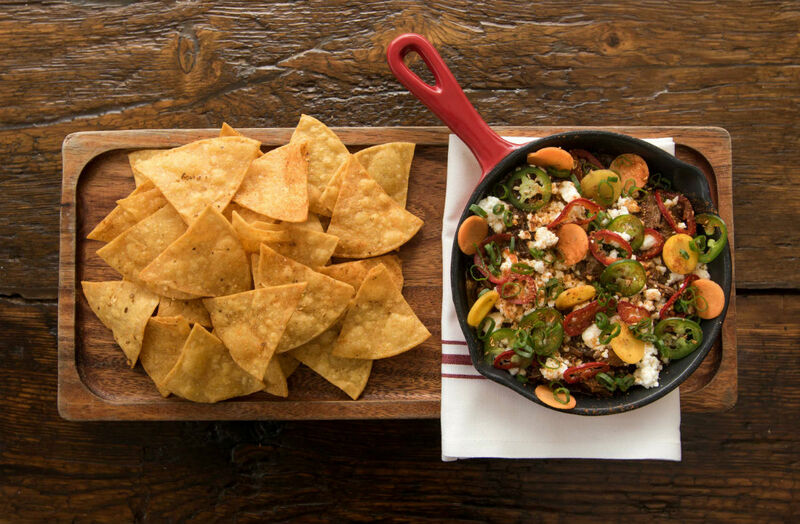 Top the finished chili with crumbled queso fresco, pickled jalapeños, chopped fresh cilantro, chopped scallions and a drizzle of your favorite hot sauce. Serve warm with tortilla chips. If Beau Sturm were watching the AFC Championship with childhood friends this weekend, he’d definitely be downing a few pepperoni rolls. “They’re on every menu, at every gas station, every bakery makes one, everybody has their favorite. It’s the tailgate food for everyone in my area,” says the co-owner of Trina’s Starlite Lounge, Parlor Sports, and the Paddle Inn. He’s originally from the West Virginia panhandle, just a few miles from Pittsburgh. The origin of this hand pie goes back to early-20th century West Virginia. The coal-mining industry was booming, thanks largely to a huge population of Italian immigrants. When he and partners Josh Childs and chef Suzi Maitland were opening Trina’s Starlite Lounge, Sturm definitely wanted a pepperoni roll on the menu. 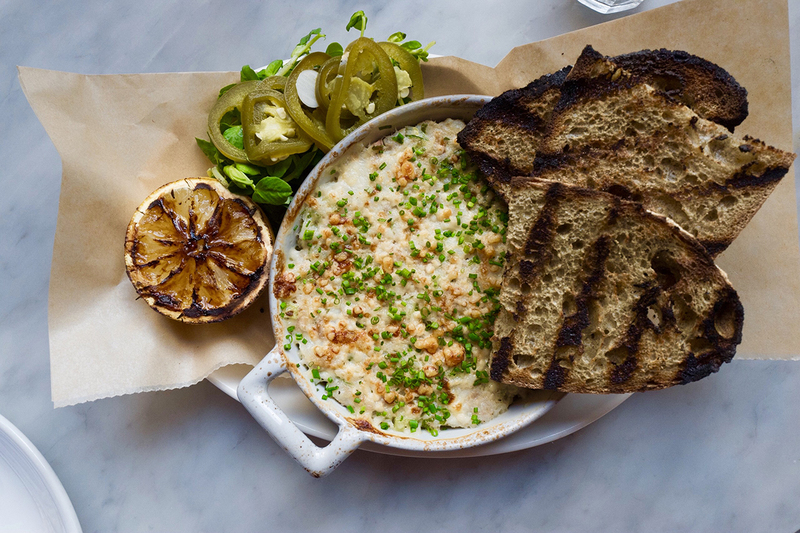 “Starlite is a very personal bar and restaurant to us, so I wanted to have one of my favorite foods on there,” he says. “And then we opened up a sports bar, and I pushed my ravenous Pittsburgh love on everything I could,” he adds, laughing. 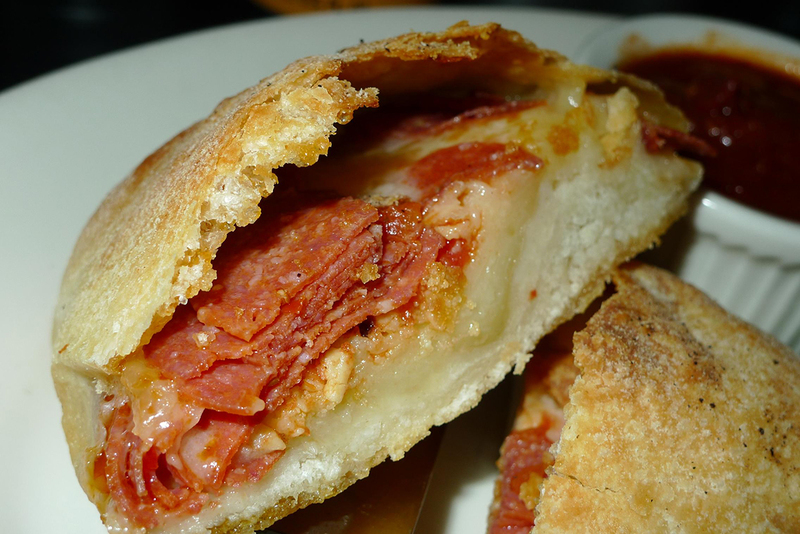 The pepperoni roll has been on and off the menu at both Somerville spots since their respective Days 1. It’s available at both this weekend, and Maitland shared her original, Sturm-approved recipe below so you can recreate it at home. Can’t stomach a snack with Pittsburgh-fandom roots while the Pats battle the Steelers this weekend? Keep scrolling for an alternative from Patriots superfan Matt Jennings (Townsman). NOTE: You can use store-bought dough to make life easier. In a bowl, dissolve the yeast in warm water and olive oil. In another bowl, mix the flour, salt, and sugar. Fold the yeast mixture into the flour bowl and mix well. Put the dough on a floured surface and knead until smooth. Place the dough in an oiled bowl and cover it with plastic. Put the bowl in warm place and let it double in size (this should take about two hours). Portion the dough into 4-ounce balls, and place on a baking sheet in the fridge to rest. Sweat out the onions and garlic in a pot over medium-high heat, then deglaze with the red wine. Add the tomatoes and mix well. Add the rest of ingredients and simmer for 20 minutes. Blend for smoother sauce, or keep chunky to taste. On a floured surface, roll out each pizza dough ball to about ¼-inch thick, and 5-6 inches around. Spread 1 tbsp. tomato sauce in the middle of each dough. Top the sauce with ½ cup chopped pepperoni, then ⅓ cup shredded mozzarella. Finish with another tbsp. of tomato sauce. Fold the bottom of the dough up to the middle and fold the sides in, making an envelope shape. Then fold down the top of the dough, pinching together the sides to completely seal the pie. Place pepperoni roll on parchment paper on a sheet pan, then drizzle with olive oil, salt, and pepper. Bake for 18-20 minutes, until golden brown. Serve with more sauce on the side. 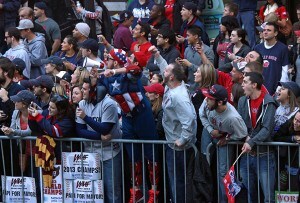 If his ubiquitous Patriots hat and Townsman bar throwdowns during Patriots games are any indication, Boston native Matt Jennings loves the home team. For the divisional playoffs last weekend, the Jennings family hosted friends for wings, homemade nachos, “some pork stuff, [it was] a big extravaganza,” he says. 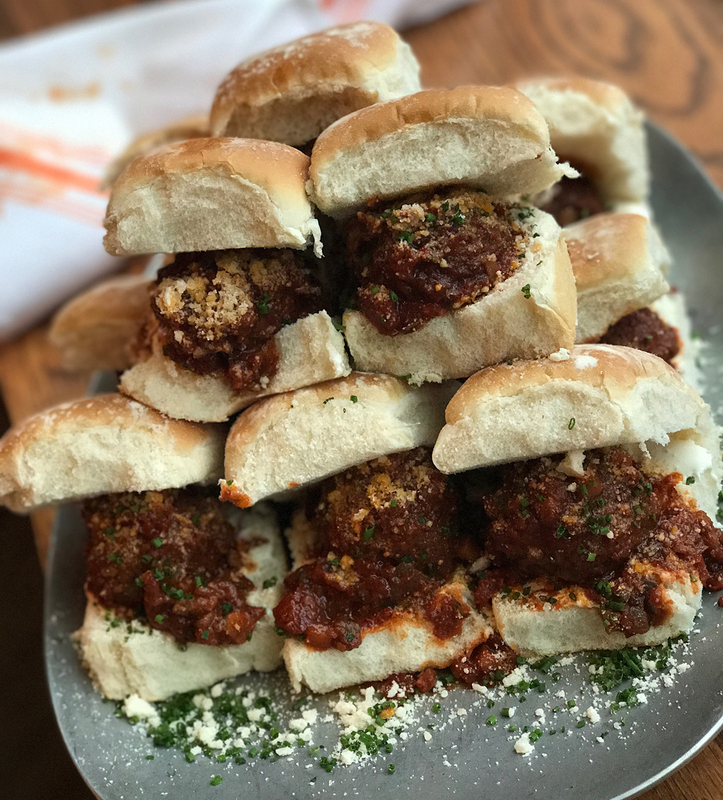 Enter: Lamb and bacon meatball “buddies”—Jennings doesn’t like the word “sliders”—slatered with yogurt crema and harissa marinara. “The harissa adds a nice kick to the marinara. It takes a little time to make, but the results are totally worth it and you will have some left over to save for the next time, or another use like a fun, spiced pasta, or the base for a shellfish and seafood stew,” the chef says. First, make the marinara. Add the olive oil to a medium-sized pot and heat on medium-high. Once hot, add the celery, carrots, red onion, garlic, shallot, and button mushrooms and sweat for about 10 minutes. If the ingredients in the pot begin to caramelize too quickly, turn down heat a little. Once the vegetables are nicely sweated and aromatic, and the onions are translucent (a nice “fond,” or brown crust should begin to form on the bottom of the pot) add the tomato paste. Continue to cook on medium heat—the tomato paste will help develop color and deep flavor as it caramelizes. Once the fond is coating the bottom of the pot, pour in the San Marzano tomatoes, stir well, then add the red wine and deglaze the pot. Turn down the heat to medium-low and cook. It should be just barely simmering. Add the chicken stock, the sugar, the red harissa paste (can be found at a specialty store), plus a sprinkling of kosher salt and freshly cracked black pepper to taste. Give the sauce another 10 minutes to cook on medium-low, then pour it into a shallow cake pan or glass pyrex pan with high sides to cool. Set aside. Next, make the meatballs: In a large bowl, place the ground pork and lamb, then add the minced bacon. Next, add the chopped herbs, smoked paprika, ground cumin, mustard powder, kosher salt and cracked black pepper. Finally, add the breadcrumbs. Mix the meatball mixture by hand until thoroughly combined. Using an ice cream scoop, scoop the mix into even-sized balls, and form them by rolling them in between you hands until they are smooth and round. If you can, fry the meatballs off in batches in 350° F oil, until they are just browned and set—about four minutes per batch once they’re submerged in oil. If you cannot fry them, roast them in a 400° F oven until browned and set—about 8-10 minutes. Remove them to cool. Once the meatballs are cooled, nestle them into the marinara and roll them around to coat them in the sauce. Cover with aluminum foil and place into a 350° F oven for 15 minutes. Remove from oven, gently coat them in sauce again by pushing them around the pan with a spoon. Now, make the crema. In a small bowl, combine the yogurt and the mayonnaise until it is mixed well. On each individual roll, place a dollop of the crema, followed by one meatball, then top with some marinara. Finish the buddies by sprinkling with freshly grated parmesan cheese and chopped chives. Serve immediately. A Kansas City native, Michael Scelfo is a “loyal, loyal Chiefs fan”—despite not having a ton to cheer about in his lifetime. So he’s especially excited to see his team in the AFC Divisional Playoffs this weekend. “Football and food are a synonymous kind of thing,” says the father of three. “Sundays are a great family day, especially this time of year. It’s a cozy day,” he says. For Sunday’s match, he thought about sharing something Kansas City barbecue-inspired, of course, but decided on smoked fish because it’s even more personal for the Waypoint chef. Preheat oven to 400° F. Gently fold all the ingredients in a mixing bowl, except the ingredients for the panko crust. Mix those ingredients in a separate bowl. Transfer the trout mix to a casserole dish and sprinkle the mix of buttered panko over the top. Cook until golden and bubbly, approximately 20 minutes. Serve with cornichons and small slices of dark rye bread, toasted and buttered. Irene Li and her siblings Andrew and Margaret, the trio behind the beloved Mei Mei food truck and Audubon Circle restaurant, enjoy watching sports—but it’s their mom who’s the biggest fan. “The last time the Patriots were in the Super Bowl, she bought herself a ticket in a totally baller, treat yo’self kind of move,” Li says, laughing. Not quite on Mrs. Li’s level? 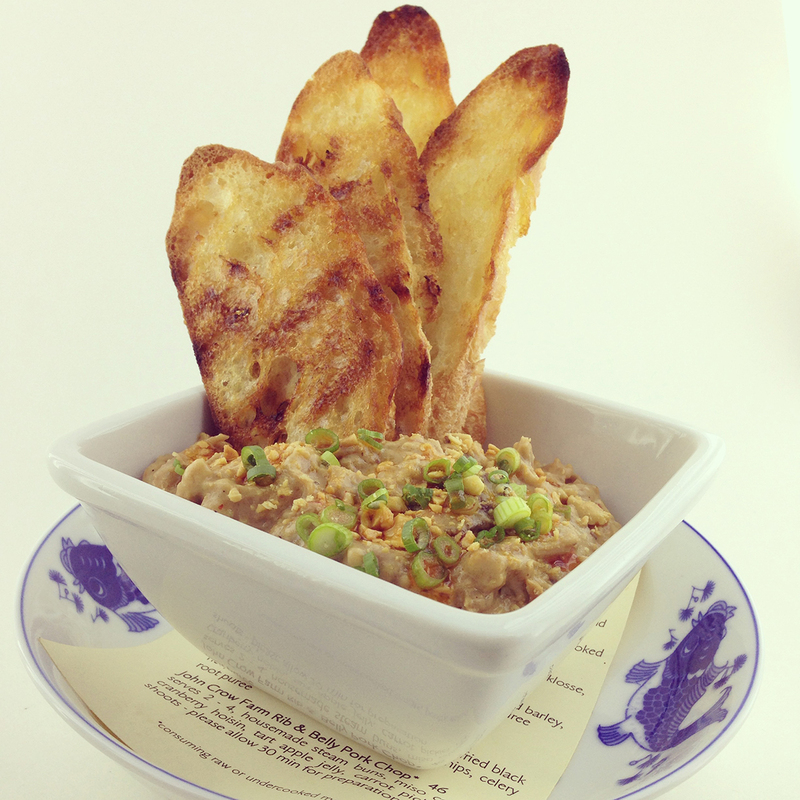 For this weekend’s Pats game, you can just stay at home and make Mei Mei’s beloved Kung Pao chicken dip. Li says it’s exactly what she wants to eat while watching the game. Check, check, and check for this Buffalo chicken-dip inspired snack. 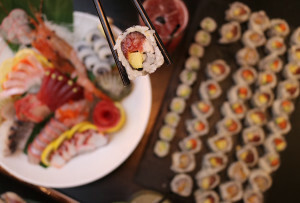 It was on the Mei Mei restaurant menu for its first two years, though it was retired this summer. It remains a favorite, though, and could return someday. In the meantime, whip up a batch to bring a spicy, nutty, unique flavor to your playoff party spread. Whisk together the soy sauce, cooking wine, and corn starch. Mix with the chicken, and let it marinate for 15 minutes while you prep your other ingredients, including combining everything for the sauce. If you’re planning to eat the dip soon, preheat the oven to 375° F.
Heat a wok or cast iron pan on high until it seems really ripping hot. Add a few tablespoons of your cooking oil, and then the chilies. Stir for a minute, until your kitchen smells really good and you’re maybe crying a little bit and the chilies are just starting to smoke. Add the ginger, garlic, and scallions. Stir-fry for another minute—your kitchen should be smelling really good. Add the chicken and fry for another three minutes, or until the chicken is cooked through. Pour in the sauce. Cook for another minute and then kill the heat. Taste it. Needs more salt? More sugar? More chilies? Add it now! Using two forks, gently shred the chicken so it can absorb all the sauce. Fold in the cream cheese and cheddar. Transfer it to a set of ramekins or a baking dish, and just before serving, bake for 20 minutes at 375°. Top it with a little more grated cheese, and some crushed peanuts, scallions, or whatever else seems delicious to you. The owner, butcher, and chef behind Moody’s Delicatessen, the adjacent Backroom, and New England Charcuterie in Waltham doesn’t take Sundays off: For every Patriots game, Joshua Smith and his business partner throw a tailgate of epic proportions. 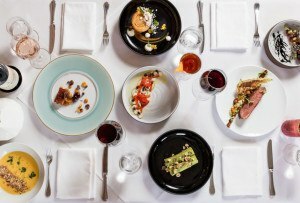 Think multiple courses of not-your-average football fare, like New England Charcuterie pigs in a blanket, little boats of pasta with shaved white truffles, Wagyu beef sliders, and a full-on brunch for the early game on Christmas Eve, with bites like a handheld mini-waffle with sous vide chicken. To kick off the 2017 playoffs—and your epic Super Bowl party—Smith provided a recipe for Baja-style grilled shrimp, the first course he made for the Patriots-Rams matchup back in December. Combine shrimp, garlic, parsley, grapeseed oil, lemon juice, salt, and pepper in a bowl. Skewer each shrimp with a cherry tomato and grill on medium-high for three minutes per side. 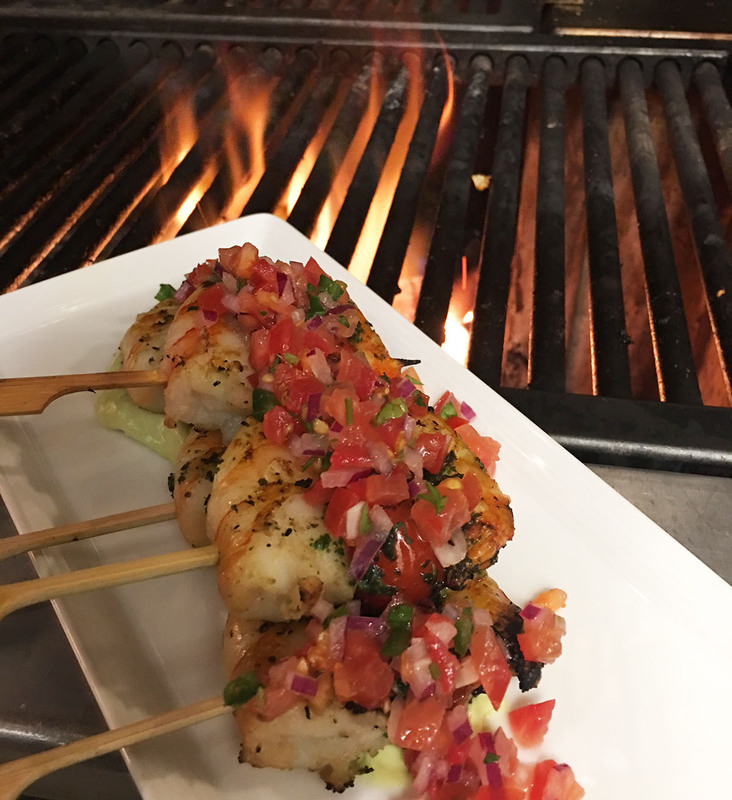 Line a plate with crema, arrange the skewers on top, and garnish with pico de gallo and fresh cilantro leaves to serve.